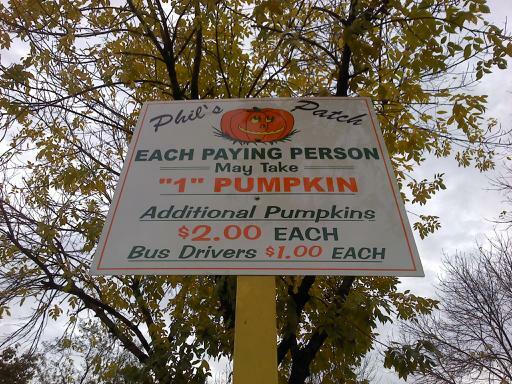 Yeah yeah quotation marks, but what's really important here is that pumpkins cost TWICE AS MUCH AS BUS DRIVERS. Thanks, Richard. Bus drivers are $1 each, you'd think they'd be at least $1 p/lb. Bus drivers are cheaper because they make lousy pie. I'd dress up like Ralph Kramden for a 50% discount.